Along with proper storage, keeping pump parts clean is critical to maintaining the safety of expressed milk. When I travel, I carry two sets of cleaning supplies. In my pump bag, I carry a 3-ounce countainer of regular dish soap, a foam cleaning cloth, and a microfiber cloth. My pump bag also came with a plastic placemat that I use as a make-shift drying rack. In my checked bag, I carry a medium-sized container of dish soap, a sponge, and two microfiber cloths (as a drying platform and staging area). 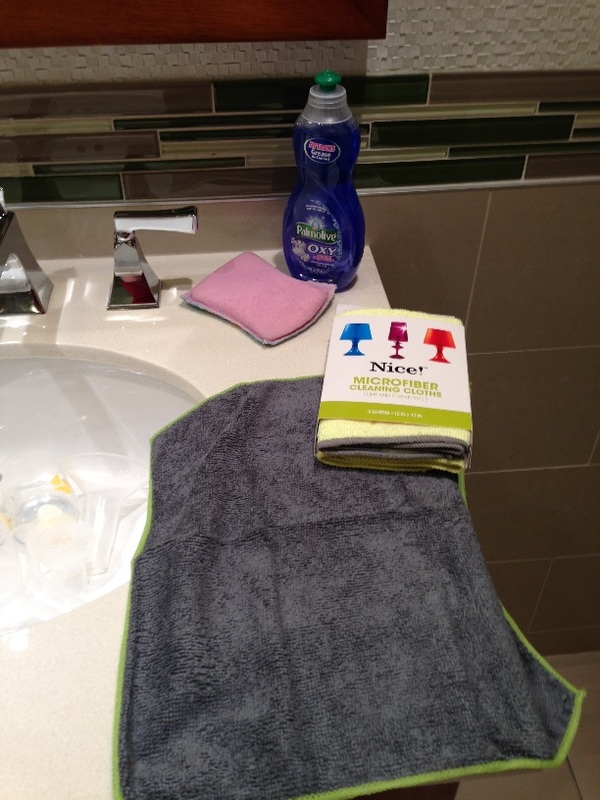 Set up for washing parts in my hotel bathroom in Calgary, October 2014. Once, I forgot my dish soap at home (which led to my carrying a back up in my checked bag) and was tempted to use the shower gel or bar soap in my hotel room. Neither of these cleaning agents will work. Instead, find a grocery store or drug store and buy the local dish-washing liquid. Frequently, bathroom soaps and gels have fragrances and lotions that will stay behind on the parts and contaminate the milk. 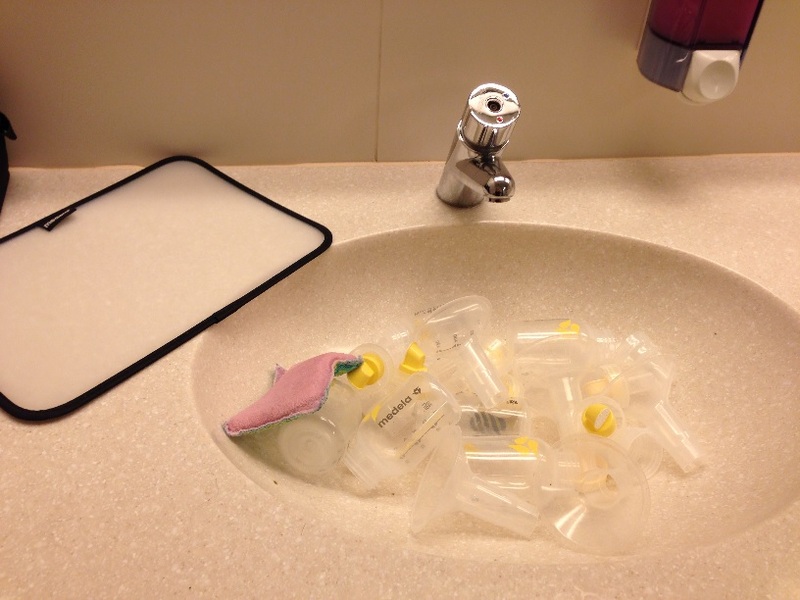 Washing parts in the bathroom at Geneva Airport after pumping three times on an overnight flight from the States, October 2014.